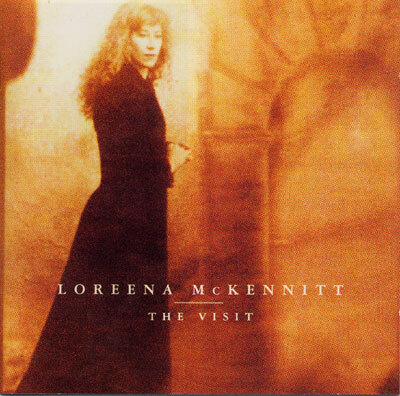 Broadening her focus toward a more eclectic range of Celtic-related subjects, and following her attendance at an international exhibition of Celtic artefacts in Venice, Loreena's writing in her fourth album, The Visit, takes on the form of musical historical travel writing. The Visit's nine self-produced tracks range from a haunting version of "Greensleevesö" sung "as I imagine Tom Waits might have done it" and a stirring instrumental "Tango To Evora" to the heartrending traditional balladry and proto-environmentalism of "Bonny Portmore" and, finally, one of Loreena's best-loved creations, a gorgeously melodic setting of Tennyson's epic Arthurian poem "The Lady Of Shalott". Includes a bonus DVD of 'No Journey's End' documentary, 'The Bonny Swans' and 'The Mummer's Dance' videos.